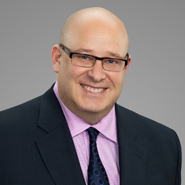 Quarles & Brady LLP has hired Mark Kornfeld as a Partner in the firm's Tampa office. Kornfeld is a commercial litigator with nearly 25 years of success in securities litigation, regulatory enforcement actions, complex commercial litigation, arbitration & mediation for clients. For nearly a decade, he was integrally involved in the court-appointed representation that helped recover billions of dollars for victims of Bernie Madoff. Kornfeld joins Quarles from Baker & Hostetler LLP in New York.